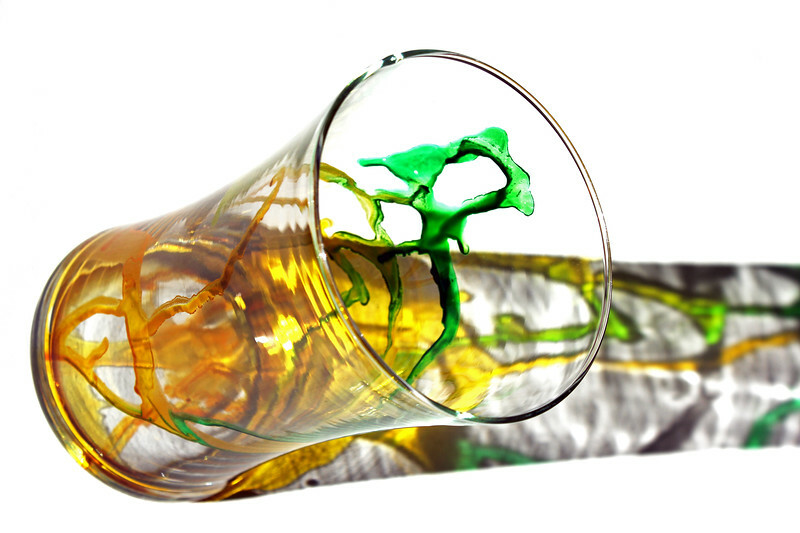 I took a clear vase and dropped in some food coloring and swirled it around to make designs on the glass. It is cold but sunny outside so I bundled up and took my creation outside to capture the reflections. This is the result.